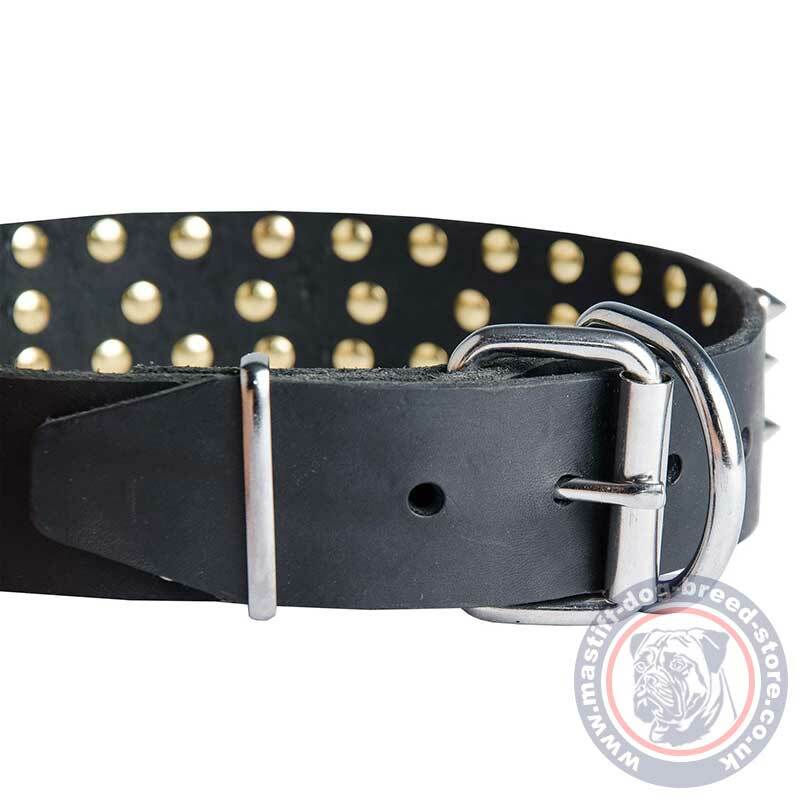 Aggressive dog collar style is designed for strong, powerful dogs to underline their strength and temper. Stylish dog collar with spiked design makes your dog look fashionable, smart and bright. Your Mastiff will turn the looks of passers-by and make you a proud owner of a stylish-looking powerful dog. 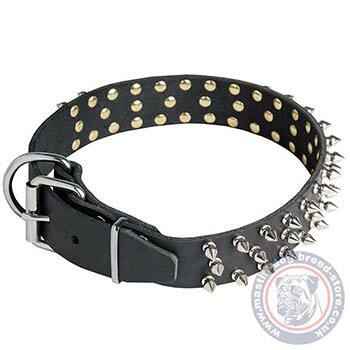 This aggressive dog collar is soft and comfortable for your dog. It is handmade of genuine, soft and strong leather, 3.5 mm thick. It is a perfect tool for dog walking and handling your dog. 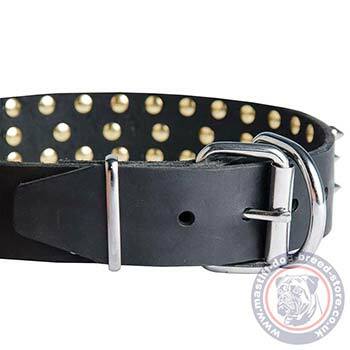 Stylish dog collar with spikes is also equipped with a classic strong buckle and cast D-ring for lead adjustment. The square ring is intended fix the tip of the collar.